﻿﻿﻿﻿﻿﻿﻿﻿﻿ A lot of parents out there think that the kitchen is not a place for little hands. On the contrary! I've gotta say, I used to be one of those people, long before my parenting days, that just thought kids had no business in the kitchen. Well, I was wrong! During my time in New York City, I got to assist a cooking class for three year olds. That's right... I said three years old. And you know what? We taught those kids how to make sushi (sans raw fish). It was incredible! The kitchen is a wonderful place to discover the science of making dinner. Let your little one help out by adding pre-measured ingredients to a mixing bowl and seeing what happens when they are mixed together. What happens when you mix an egg or water with a whole bunch of dry ingredients? How do things change shape and color as their temperatures and textures change? The winner of the Little Tumblebees Giveaway is Pat S. Congratulations! I have emailed you - you have 48 hours to respond before a new winner is chosen. Thanks for everyone who participated! For a long time now I have been wondering why customer service all over the place is so extremely poor. Last night, I realized that it's because all the best customer service representatives work for Disney. I am blown away by their professionalism and how courteous they are at all times. If you're planning on taking a Disney vacation, please book your entire trip (air, hotel, all accomodations) through them. They will make it worth your while! I'm the type of mom that usually feels guilty about taking a nap when her child is napping, because Lord knows there are a million things to get done around the house. With this terrible cold though, yesterday my husband encouraged me to lie down for a few. What wonders rest does! I closed my eyes for what felt like 2 seconds and when I opened them it had already been 90 minutes. Today is a much better day though... I'm getting there! I was trying to think back to my childhood and couldn't remember a single time that my mother was ever ill, when I realized that moms don't have time to be sick. I'm sure there were many times when she felt like crap, but she pushed through to get me to practice on time, keep my belly full, and make sure my play dates were fun. Thanks, mom. I only hope I can do the same for my kids! ﻿Ah Fall, my favorite time of year! Nothing quite says Fall like the delicious American apple. An apple for the teacher, going apple picking, making apple pie and drinking apple cider... these are just a few of the many things that you can do with apples! Here are a few ideas to get you started. September and October are known throughout most of the United State as prime apple picking season. Not sure where to start? Visit PickYourOwn.org for information about farms and orchards near you. It's not too often that I see something that makes me laugh so hard that I cry. Here's a video from the Ellen show of a brother and sister who had their widsom teeth taken out on the same day. The reason I find this so funny is because when I had my wisdom teeth taken out I cried for three straight days for no reason! I wish my poor parents would have filmed me. Have a fabulous weekend everyone! 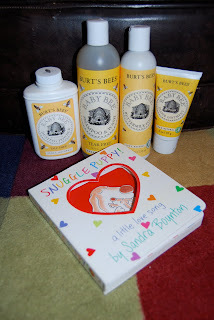 Make sure to check out yesterday's post to enter the Little Tumblebees giveaway! Any parent knows that public embarrassment is one of the aspects of having children that cannot be avoided. It comes differently for different people - a blushing moment when a child cries out in church, a knocked over display at the grocery store, bleeding in a public pool and causing a temporary shutdown for cleaning, an infant screaming through an entire 3 hour flight. But like I said before, public embarrassment as a parent cannot be avoided. We might as well embrace it and learn to laugh at our mishaps before they happen, because as my mother always says, "There is no use crying over spilled milk." Life is too short to let the little things get to us. Juno Baby is a musical adventure for babies and children ages 0-5. Their DVDs and CDs feature Emmy-award winning music and all original characters that are fresh, lovable, and so cute! During this journey, we have collaborated with top researchers, artists and musicians to create an award-winning line of products. Our CDs, books and DVDs feature a cast of lovable characters that interact with your child, along with original music composed for and performed by live orchestral musicians. We are excited to be able to share our passion with you. Welcome to our family! Today marks the first day of school for many, the back-to-work for many others, and the unofficial first day of fall as well. It's also a bittersweet day for me, as I booked AJ's 1st birthday party at a local play area. One whole year to celebrate... how on earth did that happen? Granted, we still have two months to go, but I know it'll come before I can blink twice. It's been a fantastic year of mommyhood, and the only thing missing is some more sleep. Bedtime has been a battle in our house since the day our daughter was born, and if there is one thing I have learned from talking to other moms it's that when your child isn't sleeping well, mom feels alone like she is the only parent who can't get their child to sleep all night long. It's because nobody brags that their kid wakes up every 45 minutes in the night. But really mom, you are not alone. One of the things I hope to accomplish for my Day Zero Project is answering all of the 50 Questions That Will Free Your Mind. It's a list of deep, conversation provoking questions that I found on a blog called Marc and Angel Hack Life. In particular, I thought it would be interesting to blog about because so often I get caught up in life that everything just becomes so straighforward, and the element of thinking deeply goes right out the window. Hopefully these questions will get my creative juices flowing and get me in better touch with myself. Question No. 1: How old would you be if you didn't know how old you are?